We pick up greasy, rusted out and sometimes rodent infested BBQ grills all day long. You buy a new grill for the family cook out and the old grill is rusting away in the side yard – That’s whem Mr. Rat moves in because it’s a perfect home. 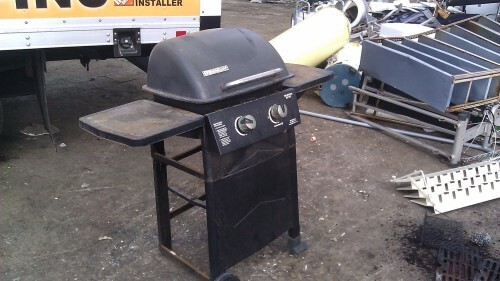 We never landfill BBQ Grills, we recycle 100% of the grills as scrap metal. We have great prices for BBQ removal and charge by the size – Small, Medium or Large. We'll pick up single items like your BBQ grill or you can add it to a load and save some big bucks!